Dearly beloved, we are gathered here today to witness the union of stunning steampunk style and the classic tradition known as the wedding. If you look at traditional bridal magazines and find yourself yawning at page after page of white dresses, shabby chic & indie DIY décor, debates on whether celadon or hot pink is the hottest trend in accent colors and bored to tears with the photos that look like they were shot in the 1960’s and have been sitting around in someone’s attic for the past 50 years then do I have something for you. 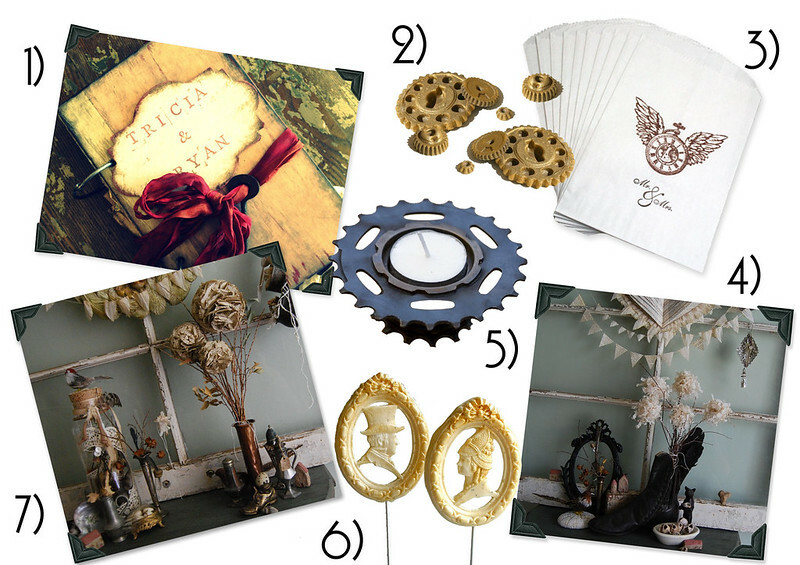 Have you considered a steampunk inspired wedding? For those of you who are unfamiliar, steampunk, which began as a literary movement, has now turned into a full-blown subculture complete with music, conventions, and a highly unique aesthetic. I suppose the best way to describe it is if goth grew up, had a tryst with sci-fi and then time-traveled back to the Victorian era to raise their lovechild. Confused? Have you seen Back To The Future III? *(spoiler alert)* You know at the end when Doc comes back to the future in the flying steam locomotive with his wife and his children Jules & Verne? The mix of high-tech with low-tech all wrapped up with a neo-victorian bow? 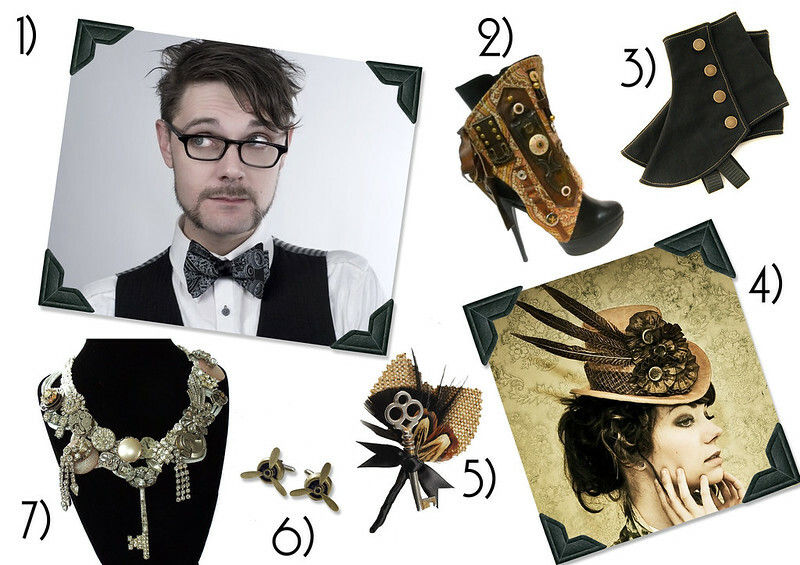 That is steampunk…an updated, edgy classic with ray guns, goggles, bustles and braces. Think that sounds too over the top for a wedding? Think again. 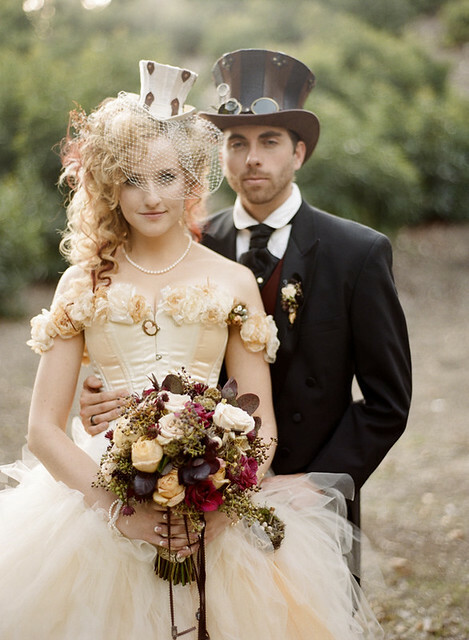 Here are some awesome ideas for adding some steampunk style to your special day. Not enough steampunk for you? Want some more inspiration? 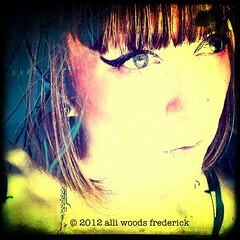 Check out the steamy board I created on pinterest for ideas that range from the subtle to the extreme. Until next time! 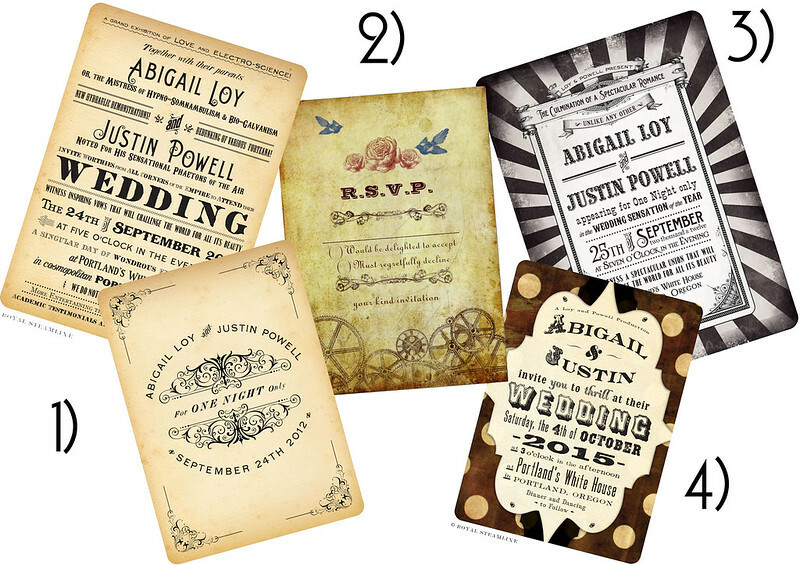 Posted on April 4, 2012, in Weddings and tagged accessories, alli woods frederick, decor, guest blogger, inspiration, invitations, steampunk, style, unique, wedding planning. Bookmark the permalink. Leave a comment.